Sapphire thinks she has claimed the quilt! Stepping out of my comfort zone is the name of the game. Back when I used to travel all the time for work, I made it a point to visit local quilt stores in search of treasures (that is what I call every piece of fabric in my stash). Once, while working in Orlando, Florida, I found a quilt store on West Colonial Drive (it is no longer in business) which only sold Civil War fabrics. As I walked in, their vast selection of dark and muted colors overwhelmed me. For sure I was not going to find anything there I liked! After all, my middle name is 'Bright' when it comes to fabrics. However, determined as I was to find a treasure, I spent an hour or so at the store and, indeed, I found beauty. While browsing, the owner told me "you cannot call yourself a quilter unless you quilt your own projects". I have since met many dissenters of this theory. On the plus side, her opinion inspired me to learn how to quilt using my Bernina, and the rest is history. About three years later, I finally got around to piecing the quilt I had bought the fabrics for, using a pattern from Eleanor Burns' and Sue Bouchard's book "Underground Railroad Sampler" (you can find it here), also purchased at the shop in Orlando. Their use of light and dark fabrics on churn dash blocks was very appealing to me. Months after I had the top completed, I joined a Wednesday group of quilters and learned how to hand quilt. I quickly realized I had to hand quilt that Civil War quilt and, after 5 years and many machine quilted projects, it is done! It was washed and dried as soon as I finished binding it - I could not wait to hold it after it had been 'wrinkled' by the dryer. The quilt has such a soft hand... I am so glad I hand quilted it (the hand quilting group helped quilt the border only, as I wasn't sure I wanted to wait another year to finish it). This quilt shows the evolution of my hand quilting skills, from hesitant stitches to more even, confident ones. I worked with a PVC quilting frame (I found it here) which is comfortable to use, has a small footprint, is very portable and easy to store; YLI quilting thread; and Piecemakers size 8 needles. 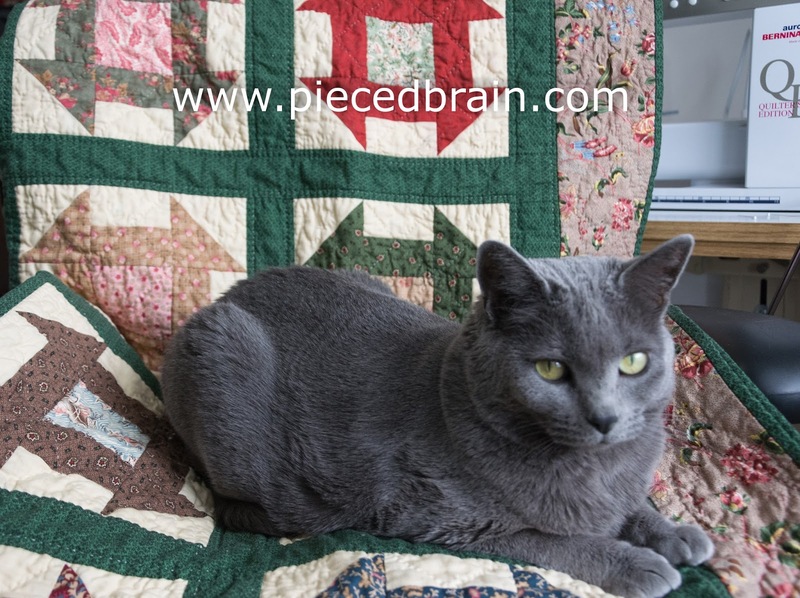 I'm hand quilting a lap quilt now. It's teal, on a black background. The pattern is Storm at Sea. I want to use it as a wall hanging in my house, and when I got it pieced, I just knew it must be hand quilted. So I know what you are saying. 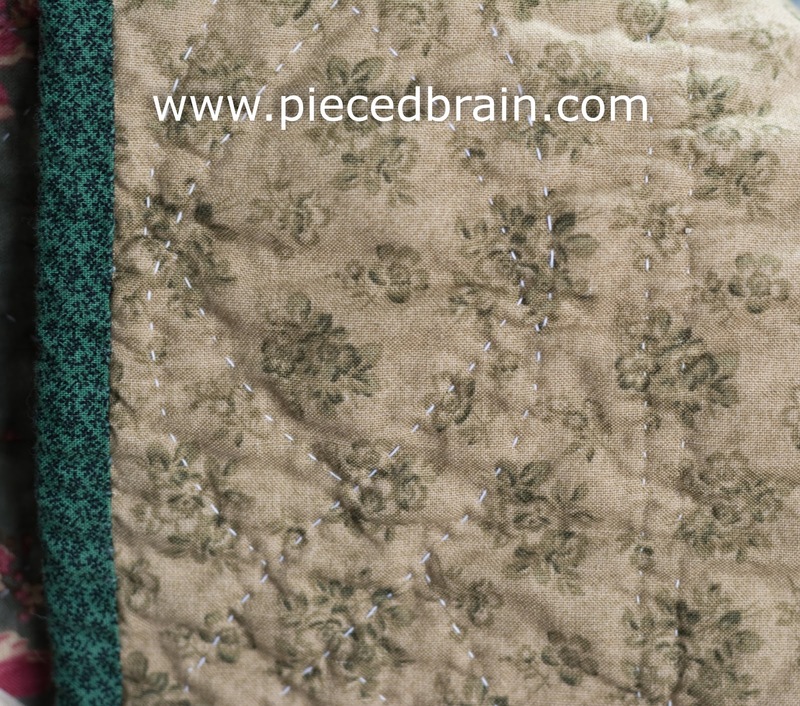 The look and feel of hand quilting is so different from machine quilting. Something about how the fabric and batting looks "sculpted". So soft too. Yes, the difference is amazing. Enjoy your project - teal and black - sounds beautiful! You're quilt is beautiful and you did a wonderful job hand quilting it. I love hand quilting but hadn't done any for 10 years! This spring I hand quilted a quilt for the first time since then. As anonymous said the feel is so different, so soft. I love how a quilt feels as I'm hand quilting it. 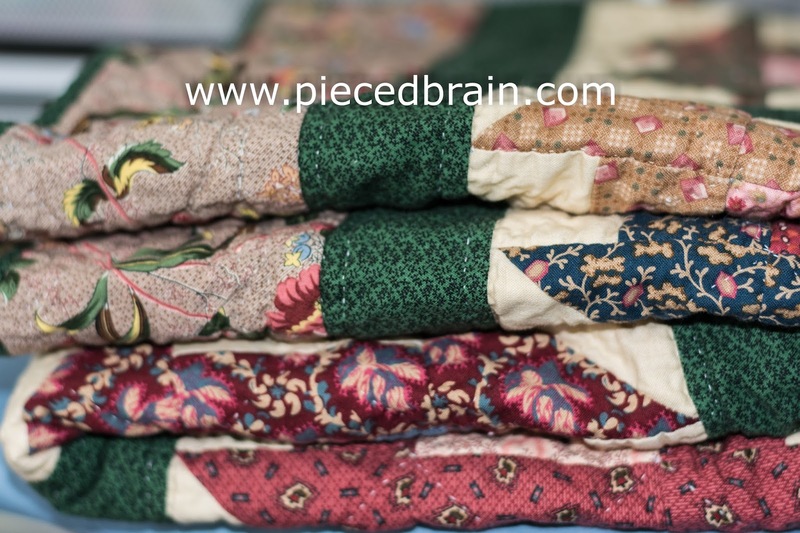 And it is nice to enjoy the beauty of the fabrics, colors and design of the quilt while hand quilting. In my perfect quilting world I would always have a quilt in the hoop to work on every day. 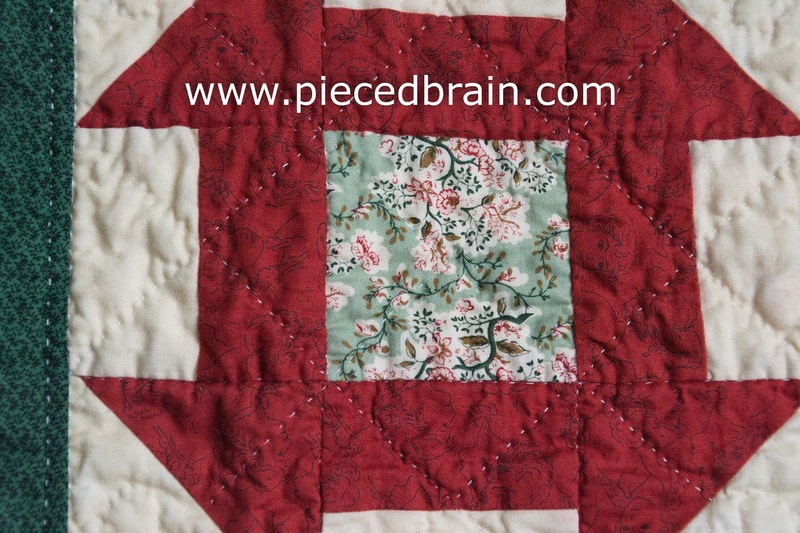 LOVE your quilt and the hand quilting looks wonderful on it. I tried hand quilting yrs. ago and got my stitches way too big, lol. Your quilt is beautiful and you have done a great job to handquilt! I have never hand quilted.